After my first Compact Power Bus, I decided to go bigger and I designed a 14 connector Eurorack Power Bus. 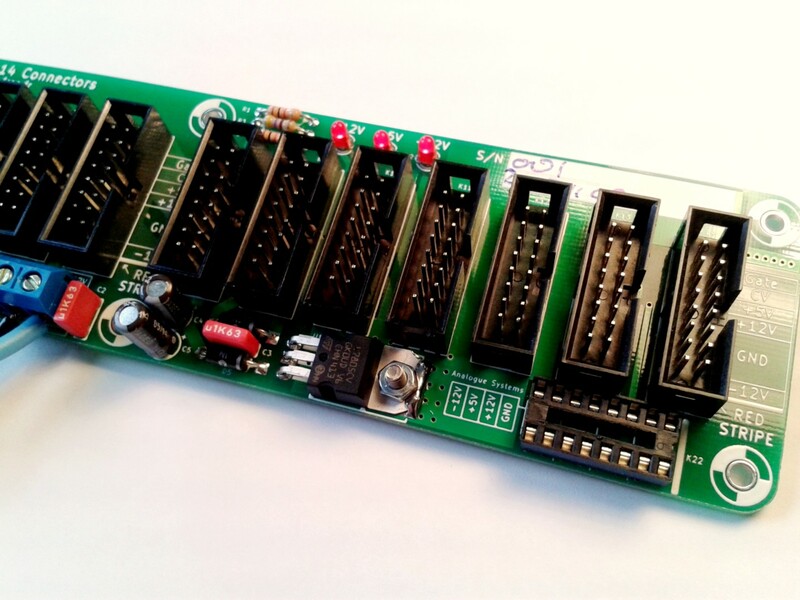 It’s a useful power distribution board for Eurorack synths. Place the Bus Board in the back of your Eurorack Skiff or your monster case and plug in it your modules. 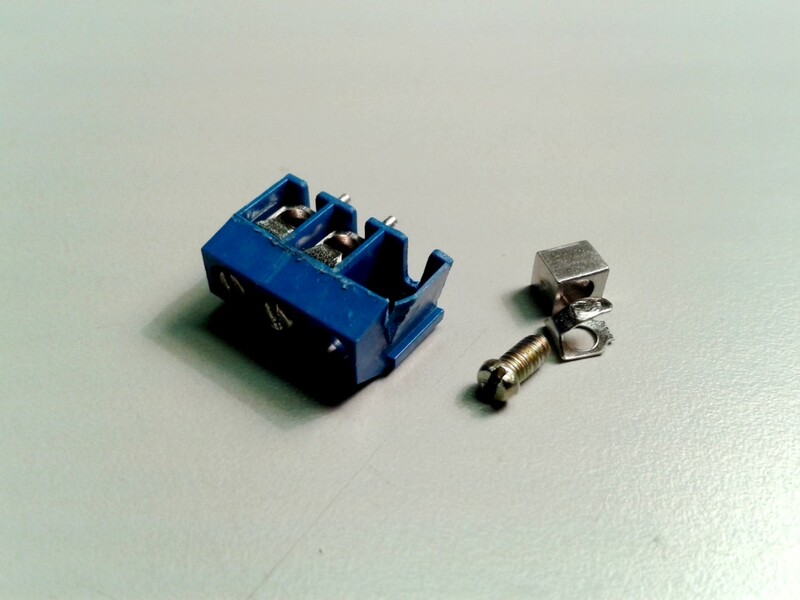 In addition to the 14 standard 16 pin Eurorack connectors, you will find 2 Analogue Systems connectors and six 3 pin “1U tile” connectors. 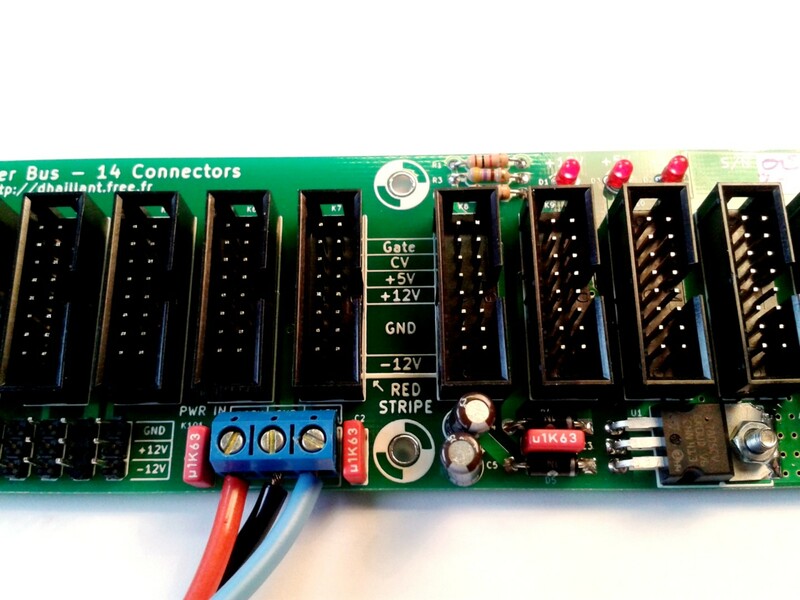 The +5 V rail is regulated on-board (using the +12 V rail, 1.5 A max). The bus is 20 cm long, 5 cm wide (7.87″ x 1.97″). 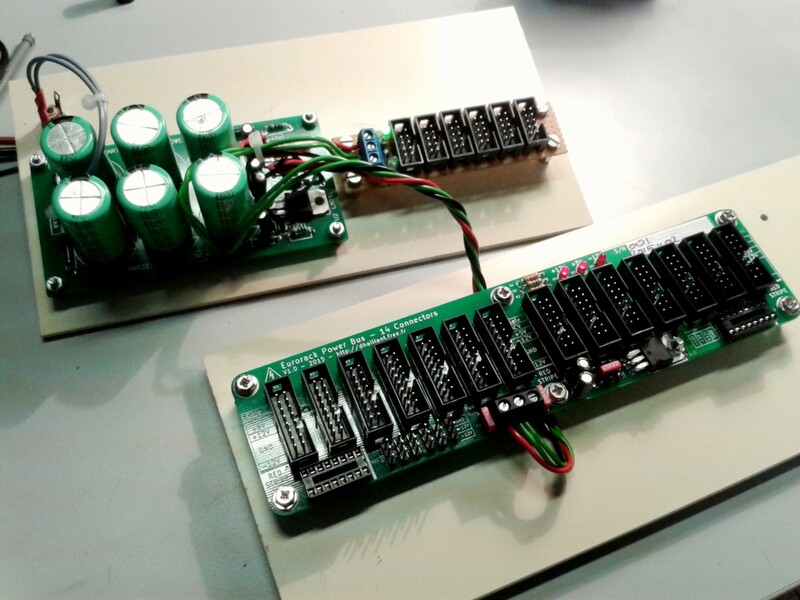 There are 3 LEDs for Voltage Rails visualization. Input is made by one Screw Terminal connector (recommended) or by Eurorack 16-pin connector (as in a chained bus topology). LEDs shows you if there’s energy on the rails, and with the correct polarity. HE-10 Connectors are keyed: no more deadly reverse polarity plugging error! Even in the dark or deep into your case, don’t fear to kill your module by reversing the connector. Don’t fear to miss a pair of pins, which generally ends in a nasty firework too. I’m not familiar with Mouser, so, I strongly encourage you to check twice the references provided above. Dans ce cas, il suffit de m’envoyer un message ou un email. I’m curious what the two “DIP” sockets labeled “Analogue” were intended for? 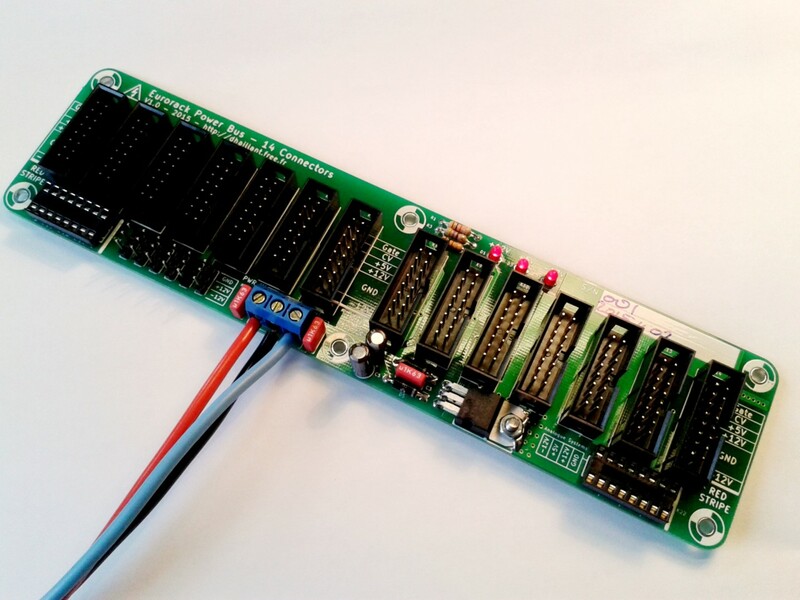 AS makes modules with a different power connector than the classic 16 HE10 pin headers found on Doepfer’s style busses. For AS module owners, instead of using an adaptor, they can directly plug them on the bus.